The presumptive presidential nominees from both major parties are fighting to win over the supporters of an insurgent candidate who won significant popular support but fell short of the delegates needed to clinch the Democratic nomination. Hillary Clinton, the presumptive Democratic nominee, and Donald Trump, the presumptive Republican nominee, made appeals Tuesday night to supporters of Vermont Sen. Bernie Sanders, who has vowed to fight on for the Democratic nomination. 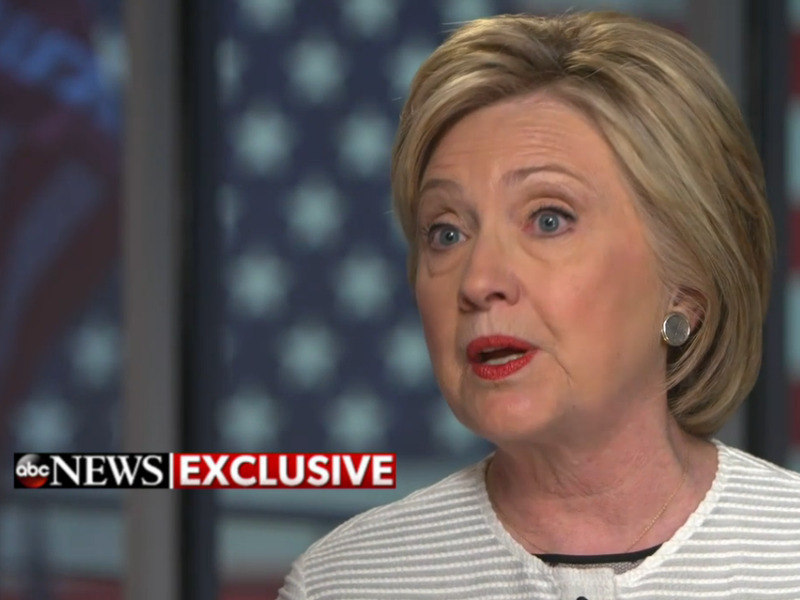 In her first interview since becoming the presumptive nominee, Clinton told ABC News that she has been in contact with the Vermont senator’s campaign. She appealed to Sanders supporters by pointing out the common ground that she and the senator share on certain Democratic issues. “I want them to know that I’m going to be working on a lot of the same issues that Sen. Sanders and I spoke about, that we both care about, and that we have so much more in common than we do with the Republican presumptive nominee, Donald Trump,” Clinton said. Trump is also hoping to woo some Sanders voters over to his camp. “To all those Bernie Sanders voters who have been left out in the cold by a rigged system of superdelegates, we welcome you with open arms,” Trump said in his victory speech Tuesday. “We can’t fix a rigged system by relying on — and I mean this so strongly — on the very people who rigged it,” he continued, referring to Clinton. In recent weeks, Trump has been blasting the Democrats’ “rigged” system of superdelegates and saying the deck is stacked against Sanders. But Clinton is ahead of Sanders in the delegate count even without superdelegates, who aren’t bound by primary votes. For her part, Clinton doesn’t seem worried about losing Sanders supporters to Trump. “Anyone who supported Bernie Sanders, who thinks we should raise the minimum wage, who thinks that we should have universal health care coverage, who thinks that the wealthy have not paid their fair share, would certainly not find that Donald Trump’s views are in line with theirs,” she told ABC News. Sanders is reportedly preparing to lay off half his campaign staff, but he still plans to campaign in Washington, DC, which holds the final primary of the 2016 cycle on June 14. He’s set to meet with President Barack Obama at the White House on Thursday. The White House said the meeting came at Sanders’ request.